Bottled Water Coolers and Water Delivery from The Water Delivery Co.
With over 3000 customers across London we are a proudly independent supplier of spring water and water coolers to businesses and homes based within the M25. Please click here to request a quote by email or simply pick up the phone and call us on 0845 006 3309. Use our live help button at the top of the page to chat directly to our support staff during working hours. The Water Delivery Company have a wide range of sparkling and still spring water in small pack bottles delivered across London. From 330ml to 1.5 litre bottles. Click here for full details on our Princes Gate Spring Water. In 2010 we also launched our range of drinking water bottles including the innovative Aquatina collapsible drinking water bottle. This full range is available to customers across the UK as well as our existing water cooler customers. For full information on our drinking water bottle range please see our website. The Water Delivery Company is a family run water cooler business serving customers in London with bottled and bottleless water cooler services. 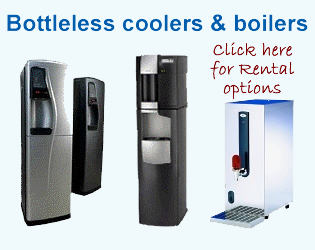 We supply water coolers and delivery water next day - or your money back. We've done this for eight years - our customer reviews speak for themself. 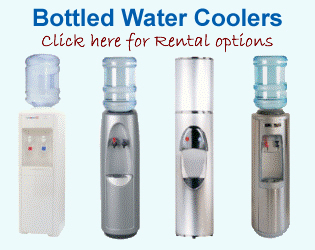 Our water cooler and water delivery customers choose us for high service levels, value for money and stylish coolers. This is reflected in the results of our annual customer surveys and the references our clients give us.